Walt Disney World Resort hotel guests and Annual Passholders already receive complimentary MagicBands. Day Guests now have the option to purchase a MagicBand in addition their RF-enabled theme park ticket. Day Guests may still use their RF-enabled theme park admission to enter the theme parks and redeem FastPass+ selections, or they may purchase a MagicBand and link their theme park admission to the MagicBand. At the time of a MagicBand purchase, Cast Members will link the Guest’s admission media (RFID ticket, existing MagicBand and Memory Maker card) to the new MagicBand. If the Guest’s ticket is already linked to his/her My Disney Experience account, all of the plans, such as tickets, dining reservations and FastPass+ selections, will be seamlessy linked to their new MagicBand. 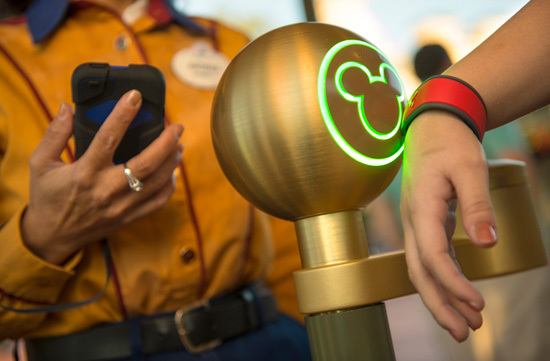 You can link multiple MagicBands to your My Disney Experience account, so for AnnualPassholders, resort guests, or offsite guests who may want more than one band, this is possible. Once linked to a Guest’s my Disney Experience account, MagicBands can be retained and used for future trips. MagicBands work in the same way as a ticket, but gives you the convenience of being able to wear it on your wrist for easier access to the touch points throughout the park. 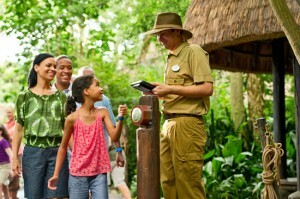 MagicBands are not required to take part in FastPass+. 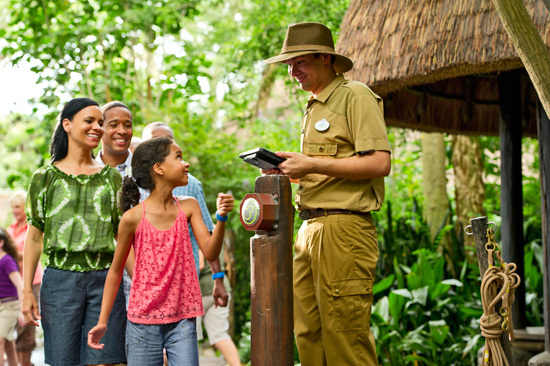 FastPass+ with My Disney Experience advance reservations for offsit Day Guests begin on March 31, 2014. Touch to pay is not available for Day Guests. Only Guests staying at Walt Disney Resort hotels who have established charging privileges upon check-in are able to touch to pay using MagicBands or RF-enabled theme park tickets. MagicBands are priced at $12.95 plus tax, and are available in seven colors – pink, blue, red, green, orange, gray and yellow. They are available for purchase at the following locations around Walt Disney World. Emporium on Main Street U.S.A.
A 10% discount on MagicBands is available to Annual Passholders and DVC Members.